I was asked by Adobe to create a sticker and overlay pack for Aviary, a photo editing app that lets you add stickers, overlays and filters to your photos. I chose Brooklyn as my theme and had so much fun creating type and images that would fit with users photos of this great borough. Be sure to check out aviary.com to learn more, and don't forget to download the pack! 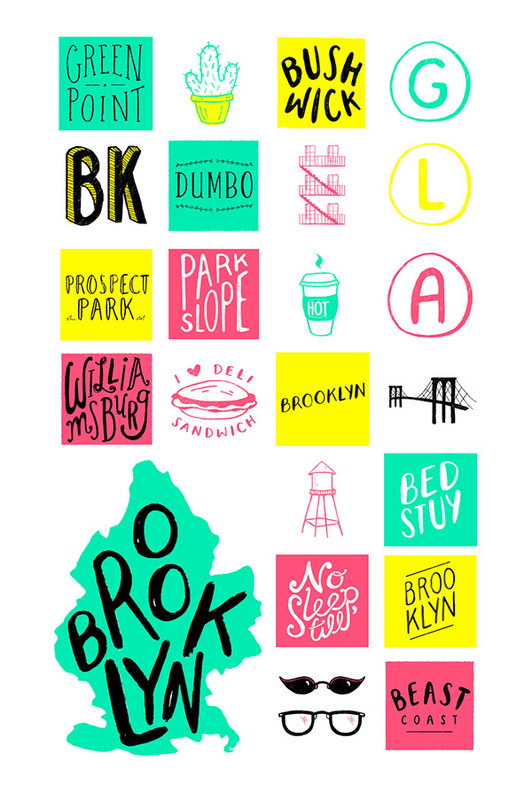 Brooklyn themed stickers for Aviary, Adobe's new photo editing app!